Spend more, save more at Charming Charlie stores in the U.S. and online on the official website. Spend $35 or more and take $10 off your purchase. Or, spend $60 or more and take $20 off your purchase. To receive the offer online use promo code. To receive the offer at your nearest Charming Charlie store location print the coupon and bring it to the store. 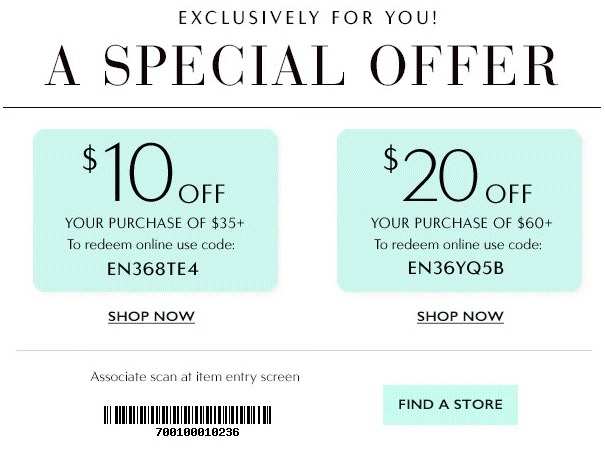 Coupon and codes are available through Charming Charlie emailing. Source of the information is Charming Charlie. For more information visit your nearest store or official website.